Bio: Kalen lived in California his entire life, but much prefers the weather in Ithaca. Growing up, he took piano lessons but quit after getting tired of taking tests all the time. He continued playing various genres and loves playing duets. He also likes buying and reading books (mainly buying) and learning languages. After arriving at Cornell, Kalen was bombarded with quarter cards and constantly saw chalking from Yamatai, but only really considered trying out after one of his roommates dragged him along. In fact, he almost overslept and missed tryouts since he was enjoying his nap so much. At first, he was only planning on getting through the first round of tryouts. 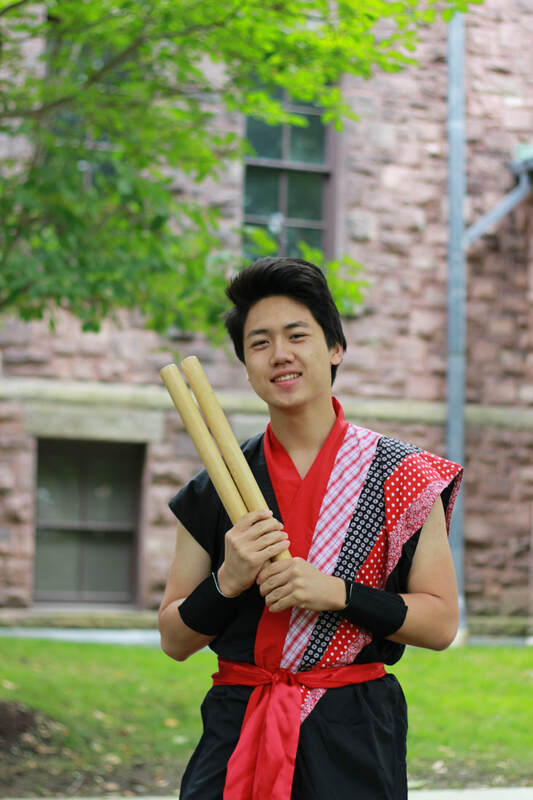 After playing taiko for the first time, he realized how much fun it was and decided he wanted to join Yamatai, and he hasn't looked back since.